It's not often I hear of a poker term that is new to me, but it happened today. I was listening to today's new episode of the "Top Pair" podcast when they talked about "going light." (The discussion goes from about 37:15 to 40:45.) The subject was prompted by one of the hosts having read this recent PokerNews article by Ashley Adams, which mentions it. The second half of that is neither remarkable nor controversial, assuming there are only two players in the hand. It's just an informal shortcut to get to the same result as formally putting out $15, then taking back $9 when the player with the $6 stack calls. I assume that Adams is not trying to say that he has seen this allowed when there are other players still in the hand who can call the full bet; that would be a whole 'nuther thing. But, like Bruce and Robbie (the "Top Pair" hosts), I was unfamiliar with the "going light" part. I have neither seen it done nor heard of it. lights. (n) In a home game, a situation that comes up when a player is LIGHT (definition 1). In some home games, not played for TABLE STAKES, when a player does not have enough chips to continue betting in a pot, that player withdraws chips from the pot equal to the amount of the betting beyond his chips, (usually) stacking them neatly in front of him. These are called lights. (To withdraw chips in this manner is called go light.) 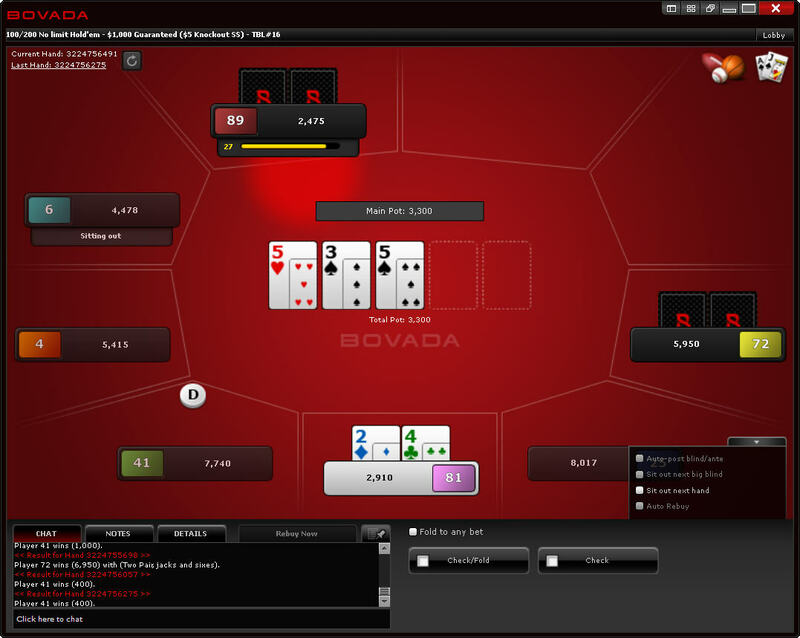 At the end of the hand, if the player does not win the pot, he buys enough chips to cover his lights. He then matches his lights, that is, puts the lights into the pot plus an equivalent amount of chips from the ones he has just bought. For example, in a stud game, Emilie starts with $16. After the sixth card, she has $2 left. The high hand bets $4. She puts her last $2 in the pot, and pulls $2 from the pot, and stacks it in front of her. At this point, she might say, “I’m light,”or, “I’m going light.”On the last round, someone bets $4 and someone calls. She pulls another $4 from the pot, adding it to her pile of lights. On the showdown, she finds that her three 7s are beat by a small straight. She buys another $50 worth of chips from the banker, adds $6 to her lights, and puts the $12 in the pot. At this point, the winner takes the whole pot. 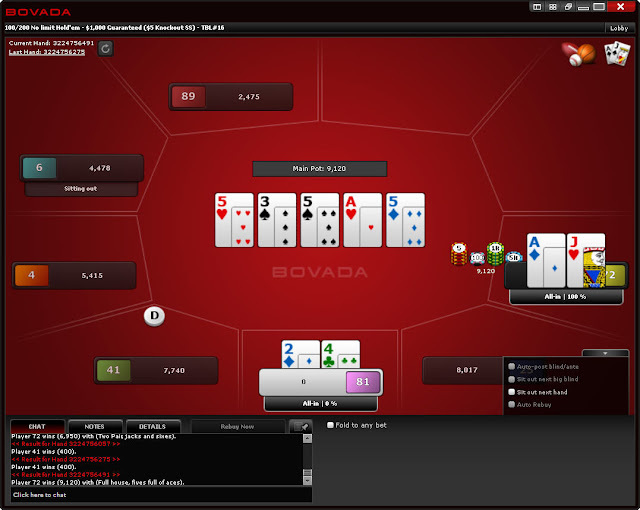 In a split (two-way) pot, if either the winner of the high half or the winner of the low half has lights, or both do, they exchange lights and then split the pot. This is equivalent to each first matching lights, and then splitting the pot, and saves time. It's easy to see why no casino would ever allow this: there's no way to verify that a player has enough cash to cover the loss, and no way to force the money out of him should he lose and just walk away without settling up. I suppose they could allow a player to take money out of his wallet and use cash to cover each call he makes as the hand unfolds, but then you've got problems of confusion, making change, slowing down the game, etc. But what about a home game where everybody knows and trusts each other? I still think it's a terrible idea, for exactly the reason that Bruce and Robbie intuit: it invites angle-shooting. From both Adams's description and Weisenberg's discussion, I gather that the concept is limited to calling bets, and does not extend to making bets or raising, though neither source makes that completely clear. If I'm right about that inference, then it's a slightly less-terrible idea--but still terrible. Also, it's somewhat less terrible if the game structure is limit than if it's no-limit, pot-limit, or spread-limit--but still terrible. The problem is that it allows (I assume) a player to choose whether to "go light" or simply be all-in with less than a full call. It must do that, unless you're going to look in everybody's wallets before the game starts to see how much "light" they can cover. I can't imagine how you could have a "mandatory lights" policy; if Emilie says she has no more cash, functionally you have to accept that. But if a player can choose to call for more than he has on the table, obviously he will only do so selectively. It's like the players who abuse the disconnection protection feature of some online poker sites. * In both situations, you are allowed to choose to risk either less or more. It's as if you had two different chip stacks, and you can choose to be playing with either the big one or the small one, depending on how strong you think your hand is. In at least some situations, it would allow you to win far more than you had at risk. Suppose after the first round of betting you have a $50 stack, while an opponent has $500. On the flop, your opponent moves all-in. If your hand is strong but not a monster, you can call just the $50 with the chips in front of you. But if you got lucky and flopped, say, an unbeatable straight flush, you can call "light" for the full $500--far more than you would be willing to put at risk if you had any serious doubt about the outcome of the hand. As I said, the wrongness of this is less egregious in limit games, because the discrepancy between your actual stack and your virtual one (i.e., the real one augmented by the cash you're willing to make up after the hand is over) is relatively small. But it's still a discrepancy. In poker, the amount you can win from another player and the amount you can lose to that player should always be identical. In poker, you should be able to limit your losses by folding, and by checking and calling rather than betting and raising. You should not be able to limit your losses by manipulating the amount of money in play in the course of a hand. *If you opt in to this feature, or on sites where it is automatic, then if you get disconnected in the middle of a hand, whatever you have already put into the pot is treated as if it had been your entire stack, rather than getting folded and forfeiting that money after the time to act has expired. Some players abuse this by deliberately unplugging their internet connection when short of being all-in because they fear losing more money on subsequent streets. I played an online tournament today for the first time in about 18 months. The only question here is whether the turn will be an ace for a 5-high straight, or a 6 for a 6-high straight. Right? So Player 72 bets more than I have. I call all-in. Obviously. And the turn was an ace. Of course. Got this hand locked up tight as a drum. Until something went terribly, terribly wrong. I'm reeling. I don't understand how something like this can happen. How should your play change when an aces-cracked promotion is in effect?